This is a blog post by NFI's Senior Program Support Consultant, Ave Mulhern. If you would like to guest blog for us please email us. Just like everyone else I suppose, I love to laugh! I am ever on the lookout for the humor in things especially when they have to do with parenting or dads in particular. Recently someone sent me an email. You know the kind, with funny stories and they ask you to pass it on, etc. This one was labeled WHY GOD MADE MOMS. You get the picture, and of course they made me laugh, or smile at least and I actually identified with the statements these kids were making. Here is the link to the entire list. But as I read through the list, the questions asked about the dads specifically - although funny -are quite telling. I noticed a bit of a theme like we also see on television today, that mom is smart and the “boss” and dad is a kind of “goof” to quote one of the kids. There was another statement from one child’s grandma who had something negative to say about dad. 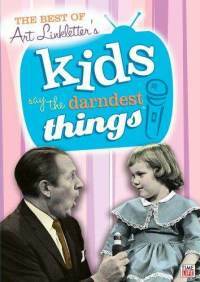 I grew up in the 60’s and in contrast, thought of the old TV shows like KidsSay The Darndest Things(then with Art Linkletterlater with Bill Cosby) it is clear there was a kind of reverence for both parents. Now I know I look at things from a fatherhood lens so to speak, because of what I do here at NFI. For a moment, I thought maybe I was being hypersensitive. So I read on to the "Mommy Test." I was out walking with my 4-year-old daughter. She picked up something off the ground and started to put it in her mouth. I took the item away from her and I asked her not to do that. "Why?" my daughter asked. "Because it's been laying outside, you don't know where it's been, it's dirty and probably has germs" I replied. At this point, my daughter looked at me with total admiration and asked, "Wow! How do you know all this stuff?" "Uh," ...I was thinking quickly, “All moms know this stuff. It's on the Mommy Test. You have to know it, or they don't let you be a Mommy." "OH...I get it!" she beamed, "So if you don't pass the test you have to be the daddy"
When you're finished laughing, send this to a Mom. I wondered about mom’s comment about having “joy in her heart” to have gotten the message across to her 4 year old daughter. But was that message actually "moms know everything, and those that don’t pass the test—are those (dumb?) dads"? And why is it important to send this on to another mom? Because, oh yes, we (moms) all will get it too? Again, am I being hypersensitive because of the work we do here at NFI? In our country, one in three children are growing up in homes without a father. Why is that bad or even a tragedy? There are numerous statistics linking father absence to so many unfunny social issues like teen pregnancy, incarceration, crime, etc. Even more alarming in Research Studies with dads AND moms – shows that more than half of moms and dads believe dads are replaceable! As I have learned through experience and the research NFI provides, dads don’t do things the same way we moms do. Ah hah! I sadly reflect now on how many times I verbally expressed how dad didn’t do something correctly or “my way” in front of our children. We (moms) want dads interaction with our children --but we want them to interact the same way that we interact. What the research actually shows is that the wonderful blend of parenting approaches or styles from both parents is beneficial and enriching for children. And involved fathers and involved mothers are beneficial to each other! See our recent Blog Moms Should “Lean In” …to Fatherhood about this very topic. While we have developed countless resources for fathers; emails like the one described above illustrate the very real perception a lot of mothers have about the fathers of their children. In case you haven’t heard, NFI recently launched a new series of Resources for Moms – and yes there are a lot of resources out there for moms. 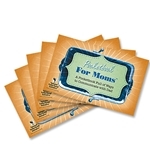 But what is unique is these are for moms…About Dads! 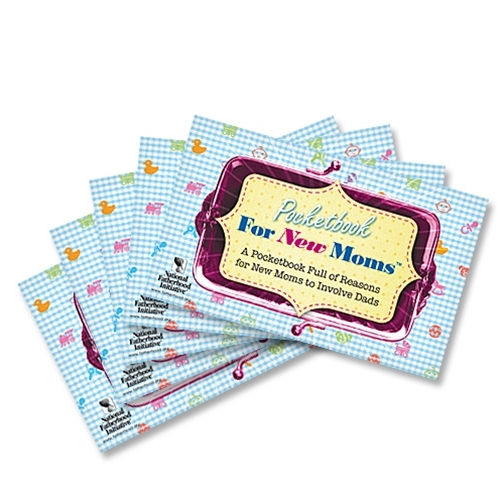 Our new low intensity resources include the Pocketbook for Moms™: A Pocketbook Full of Ways to Communicate with Dad as well as the Pocketbook for New Moms™: A Pocketbook Full of Reasons for New Moms to Involve Dads.These pocketbooks are filled with tips and advice for moms on how to communicate with dads. I believe that these resources and programs can be a great way for organizations working in our communities to help both parents vastly improve child-rearing skills and expand the enjoyment of their personal relationship as well. And speaking of personal relationships, I believe humor is a key component to keeping good relationships for sure. It is important to be way more aware of the deeper messages to that humor.